The common rear axle noise found on the BMW E90 3 series cars is caused by bearing failure in the differential unit. 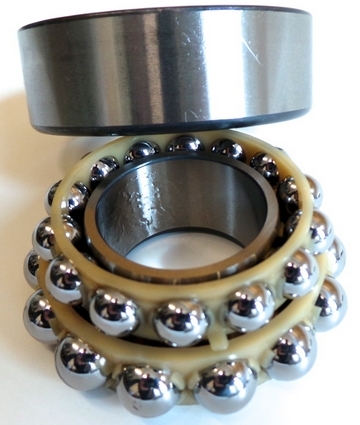 The bearings are an unusual design for a diff bearing as they are double ball rollers, like in this picture below. Please click this link to see our BMW E90 3 series differential rebuild parts range.